Kentucky distillery Jim Beam has launched a limited edition bottling inspired by the same Bourbon created by the brand’s founding family after Prohibition. 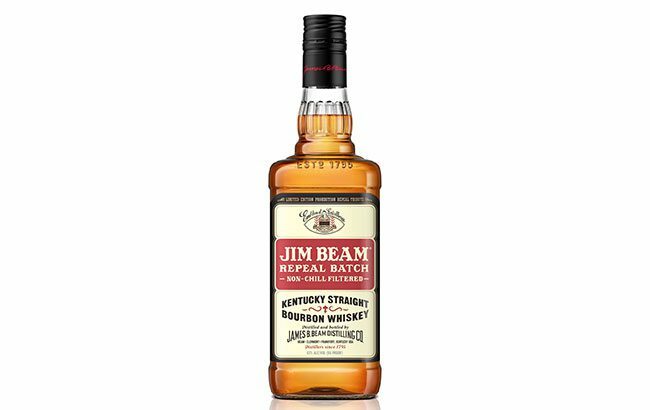 Jim Beam Repeal Batch is a Kentucky straight Bourbon that celebrates the 85th anniversary of the repeal of Prohibition. Following a 13-year hiatus from the Bourbon industry during Prohibition, James B. Beam, 70 years old at the time, and his family rebuilt their distillery in Clermont, Kentucky. The new whiskey, like the original Jim Beam Bourbon, is aged for four years, but is non-chill-filtered to create notes of char, oak and caramel. “For the 85th anniversary of Repeal Day, we wanted to release a Bourbon inspired by our heritage and dedicated to the hard work my great-grandfather put into rebuilding our family business after Prohibition,” said Fred Noe, Jim Beam’s seventh generation master distiller. The limited edition is available across the US at an RRP of US$17.99. Earlier this month, news broke that parent group Beam Suntory was considering a US$101.7 million expansion of the Jim Beam distillery.